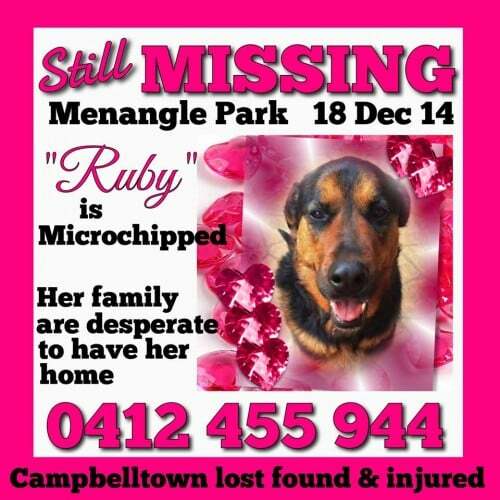 Ruby went missing on the night of 18 December from Menangle Park, near Menangle Park Raceway, in Sydney NSW. We have had NO sightings since. We have received information that she was #Stolen. 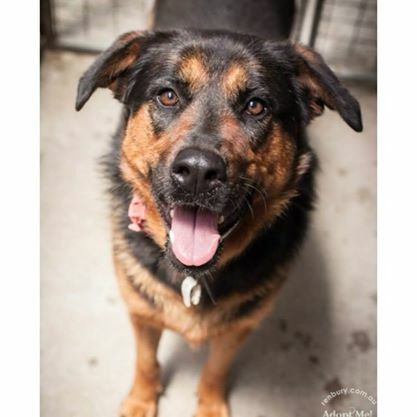 Ruby is an extra large German Shepherd female, 6 years old, microchipped to Brooke Thomas. 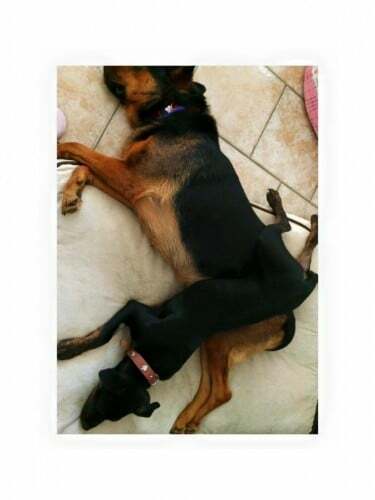 She was wearing a red collar with pink ID tag when she went missing. 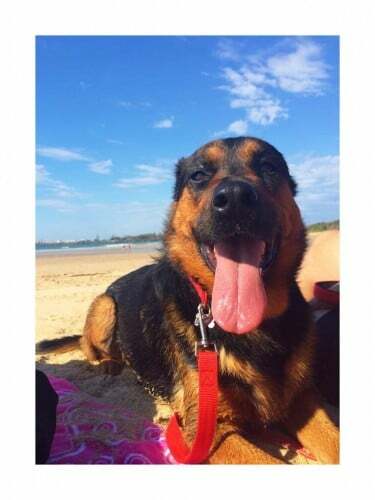 Ruby is very friendly towards people and other dogs. We know someone has her and someone has to know something. We are desperate to get our baby back and are offering $1000 for the safe return of Ruby, no questions asked. PLEASE, if you have the slightest idea of where Ruby is, please contact us using the Contact Form on the top right of this page (rather than the comments, to protect your identity). The smallest piece of information can make a difference. We will be grateful for any leads. Ruby also has a Facebook page here, and you can share this profile page to all your social media accounts using the buttons on the left.